No.1 - Taken from an article by SIAS Archivist Brian Murless, (Bulletin 111), this section gives an indication of the wide range of subjects to come before the SIAS Committee. 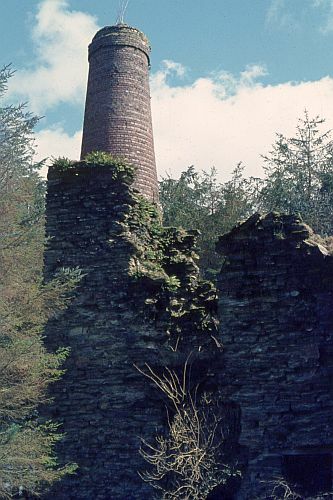 Successful Lottery funding has enabled the conservation of Langham Engine House and the ventilation chimney of Bearland Wood Mine where, from 1854 to the 1880s, an estimated 12,000 tons of brown haematite was extracted. 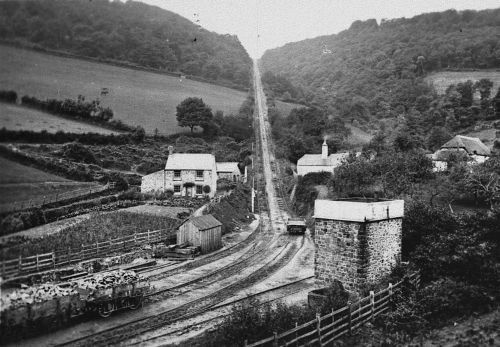 The Exmoor National Park has appointed a heritage education officer and a project assistant to develop a website and archive for the interpretation of the remains of the West Somerset Mineral Railway. WSMR features which have been consolidated include the incline winding house (Bulletin 103) which enabled the railway to transport the iron ore from the mines to the Port of Watchet for onward shipment to the furnaces in South Wales. SIAS is particularly looking forward to the publication of Mike Jones’s authoritative work on the mines and the railway this autumn. It will appear in two forms: a two-part, limited edition archive of photographs, surveys and researched text and a book aimed at a wider, less specialist readership. At Bridgwater, Castle House, the idiosyncratic mid-19th century building with early elements of cement and concrete in its construction may at long last have a secure future. SAVE Britain’s Heritage has received £110,000 from English Heritage towards the cost of scaffolding and an architect to draw up plans for conversion to housing. It is hoped that negotiations with Sedgemoor District Council over an adjacent plot of land, the acquisition of which would improve the viability of the scheme, will have a favourable conclusion. SIAS had surveyed the listed premises, of mid-19th century origins, in 1978 when it was active as Perrin & Company (Journal 3). This contaminated site, derelict for twenty years, has now suffered a worse fate, the roof and louvered first floor section being removed following safety concerns with elements of the structure that were leaning out towards the road. The remaining walls are braced. 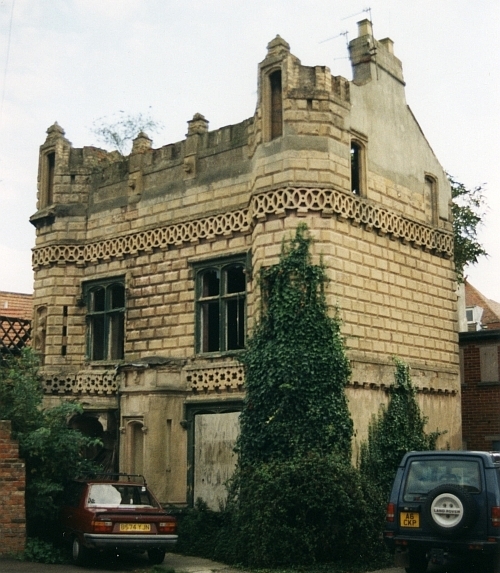 The conversion scheme to dwellings that was unfortunately granted permission (to which SIAS and the district council’s own conservation department had both objected) should ensure that the roof will be reconstructed though the character and setting of the buildings have been irretrievably damaged. 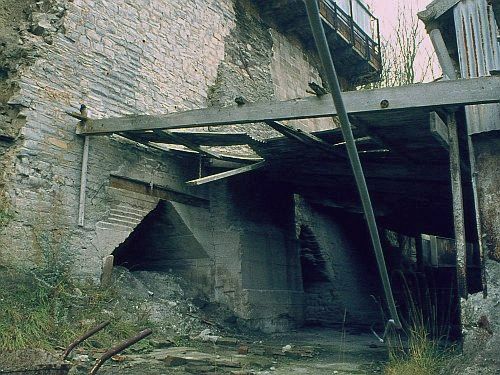 At this historic mill the existing 19th century iron waterwheel is to be replaced by a modern wheel for the purposes of electrical generation. Although the building is protected, SIAS felt that the application, for various reasons, was less than satisfactory and commented to Taunton Deane Borough Council in its role as a non-statutory consultee. The Society’s stance was noted and reflected in the planning constraints which accompanied the decision of conditional approval. The Coker Rope and Sail Trust is a dedicated body set up with the aim of preserving and restoring the listed Dawes Twine Works at West Coker near Yeovil, following a compulsory purchase order served on the previous owners by the local authority. 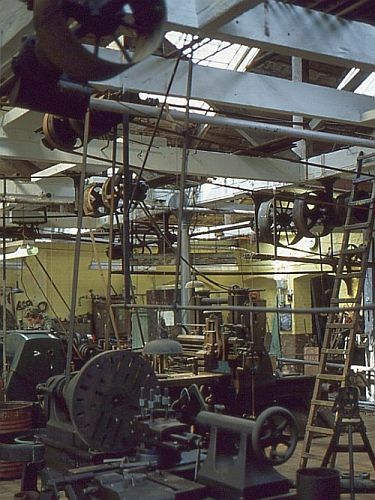 The works, which featured in the television series Restoration, had closed in 1968 but retains its original 19th century rope and twine making equipment and was recorded by SIAS (Bulletin 89). In May the Trust announced that it had been awarded £80,000 by English Heritage and £40,000 by South Somerset District Council (SSDC). These funds will permit basic onsite works and scaffolding has already been erected. An initial development plan, prepared by architects, has been submitted which concludes that further work such as allowing active exhibitions of the vintage machinery and the provision of offices, toilets and a car parking area will amount to a final cost for the scheme of around £1 million. 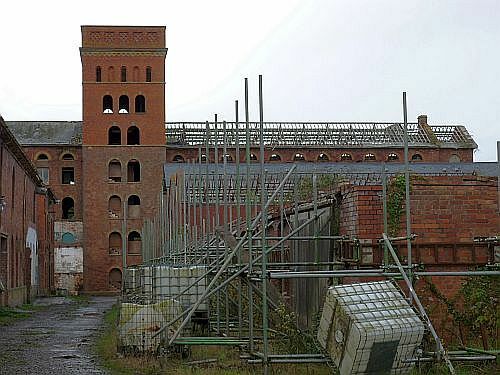 At the nearby West of England Twine Works, where SIAS member Neil Evans produces braiding, SSDC has proposed to English Heritage that the western of the two rope walks at this site be delisted, a decision ultimately taken by the Department for Culture Media & Sport. It was badly damaged by fire some years ago and rebuilt with a steel frame except for a length in the centre so has a radically altered character no longer deserving of listing. The eastern walk is intact and would remain protected. Like other IA societies, SIAS often faces dilemmas when responding to planning applications as to the degree to which a building should be altered in order to be adapted to a new use. This former textile premises, dating to 1899, is one of the most complete to survive: a 3 storey brick structure under a clay tiled roof, both locally made building products, with details including neo-Greek capitals in concrete. Research by SIAS members had been instrumental in securing a Grade II listing (Bulletin 96). A planning application was submitted for conversion to workshops and the redevelopment of the site involved demolition and an additional new building. SIAS objected to this application as originally proposed with similar criticisms being expressed by the Taunton & District Civic Society. An amended application has received conditional approval. Members of the Westonzoyland Engine Trust (WET) are never short of fascinating projects for the study, display and preservation of machinery at the station. Future challenges include the gearing from Highbridge Clyse and the two engines of 1864 and 1869 which once pumped at Stanmoor and Southlake respectively and follows their transference from storage at Allermoor. 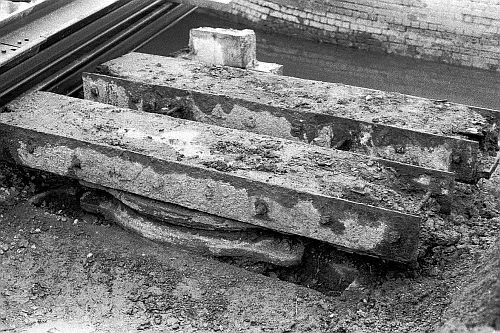 Another candidate, currently visible as a large collection of concrete, metalwork and wood adjacent to the entrance are the remains of the sluice gates raised from the River Parrett at Langport (Bulletin 107). Their planned treatment, however, would constitute a joint exercise between SIAS and WET as this society was instrumental in securing the surviving elements of the gates from disposal and the Trust generously agreed to provide space given the station’s role as a registered museum for land drainage. An initial onsite meeting has taken place with representatives from both groups and necessary legal moves have been set in train with regard to ownership of the artefacts and the land on which they will hopefully be re-erected and displayed. Denis Dodd has made a digital record of the component parts and the favoured option is to exhibit only one pair of gates inclined at a slight angle rather than positioned horizontally on the ground. Volunteers would be required for basic conservation tasks but not heavy lifting which would be carried out mechanically. 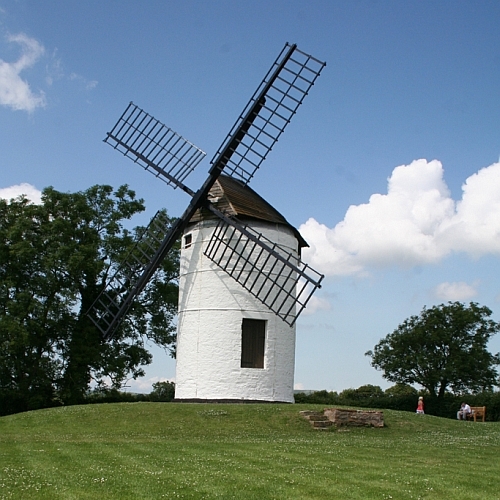 The 18th century Ashton Windmill at Chapel Allerton near Wedmore has been restored to its original appearance by Cotswold Millwright Ltd., the work being funded by its owner, Sedgemoor District Council with a grant from the Society for the Preservation of Ancient Buildings (Mills Section). In May 2007 one of the sails had broken off in high winds and the others were in poor condition so the decision was taken to replace all four sails. Stembridge Tower Mill at High Ham, owned by the National Trust, dates from 1822 and in was in use until 1910. A £96,000 from Grantscape, an environmental charity, will be spent on the conservation, preservation and interpretation of the mill, tasks which are scheduled to be completed this year. By far the most intractable problem concerns Tonedale Mills and the Tone Works in Wellington, much time having been spent by SIAS officers responding to planning applications over the past ten years. By the turn of the 21st century the Quaker textile firm of Fox Brothers & Co. Ltd. had re-invented itself and relocated to a modern factory in the town where it conducts a successful weaving business for niche markets. These two sites formed the hub of the woollen manufacturing ‘empire’ of Fox Brothers which had satellite factories in Somerset and Devon and at one period included cloth mills at Chipping Norton and Galashiels. In Wellington the company operated a ‘twin vertical approach’ manufacturing woollen and worsted cloth utilising all the necessary processes from unprepared wool through to the finished cloth. The legacy is a complex of Grade II* and II listed buildings, arguably the finest being an impressive five storey former spinning mill block at Tonedale constructed in two phases during the 1860s. The downturn in housing construction has had unforeseen consequences with work on the conversion of the block into apartments being abruptly halted at a time when part of the roofing and much of the fenestration had been removed. SIAS has asked the local authority to consider an urgent works notice but because of the uncertainty of a date for recommencing the work a less minimalist approach is the desired outcome with ideally emergency funding to fully weatherproof this important building. Tone Works is of national importance as a near complete example of a 19th century cloth dyeing and finishing works and in 2007 English Heritage published a two volume report on the survey and analysis of the buildings, power systems and machinery. Significantly these veteran machines could be made capable of working and performing a function found nowhere else in Great Britain producing a fabric finish unrivalled by modern processes. The developer, not connected with the one at Tonedale, had devised a masterplan which included only a representative sample of the machinery managed by a tenant as a heritage education centre. Funding would be forthcoming through ‘enabled’ planning permission for housing on adjacent land. Currently a trust, on which John Clarke represents SIAS, is aiming to progress to taking ownership of the listed but deteriorating buildings, converting and restoring them and developing a business plan. With no immediate prospect of the new build, housing development a future timetable is somewhat problematic. This large estate, now on the outskirts of Taunton but once one of the country seats of the Portman family, is today well known for the recreation of several periods of historic gardens including the rebuilding and interpretation of structural features within these landscaped areas. This work has been promoted by an active gardens trust and the next phase involves the renovations of the estate sawmill and associated workshops, generator and battery rooms as a visitor centre. 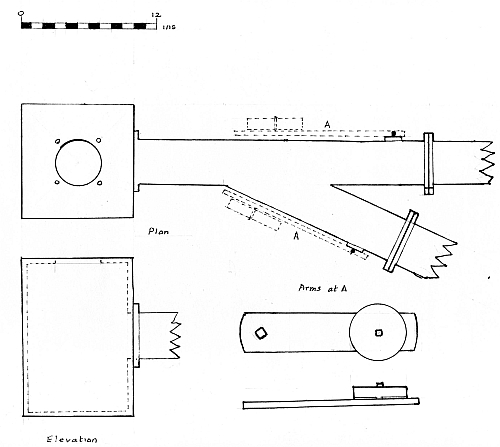 Power for the sawmill machinery came from shafting off the ring gear of an overshot waterwheel, 11ft. diameter by 4ft. wide overall, which was cast in the Devonia Works of James Edward Vanstone at Black Torrington, Devon c.1900. Arising from a survey of an estate workshop at Gerbeston Manor near Wellington in 1995, SIAS was able to secure the redundant machinery, lay shafting etc. there for display at Hestercombe. Alongside the surviving wheel is a Gilbert Gilkes turbine installed by Chas. Louis Hett of Brigg, Yorkshire for the generation of electricity in 1887 which will also be conserved. As part of the project, which has been Lottery assisted, exhibition space will be available to illustrate the various methods of lighting large country houses during the late 19th and early 20th centuries. SIAS has identified items relevant to this theme and currently in store is a dynamo manufactured in the Newton Electrical Works, Taunton, a petrol-air gas Thermalume plant which lit a West Somerset bungalow (Bulletin 76) and a weighty electrical switchgear panel relating to a turbine at Stoate’s Mill, Watchet. It is hoped to add to this list a complete acetylene lighting plant still in situ in a house locally. During the course of the building work for the visitor centre some unusual pipework was uncovered. It was necessary to remove the tiled flooring and concrete base of the generating room and battery house which had been subjected to a variety of farm uses over many years. This activity revealed a system of cast-iron piping about 9 in. below floor level which was previously unknown to the builders and not evidenced in the estate archives. The pipes have an interior diameter of 4 in. and are ½ in. in thickness joined together by bolted flanges. The system seems to have commenced from a 10 in. square by 14 in. deep chamber which appears also to have had a similar pipe fixed vertically from it. After eight inches the exit pipe branched although only a short length of one branch has survived. The other curved around to the west end of the brick tailrace inspection pit where it went down vertically to the tailrace tunnel apparently terminating above the water-line. Unfortunately, no recording was undertaken at the time but from the salvaged piping SIAS member Derrick Warren was able to make a drawing. Near the branch each pipe had a weighted arm on a pivot protruding from the pipes; this possibly activated a flap to regulate the amount of whatever flowed through the pipes. This system seems completely unrelated to any other uses for the room and is the subject of some speculation. A gas plant at Hestercombe is unknown and other suggestions are for a generator or a pump but the purpose of the pipework is at present a mystery. No.2 - Further issues and reported news relating to industrial sites in Somerset which have come before the SIAS Committee since those referenced in Bulletin 111.In some cases this represents an update. SIAS member June Cummings has come across some residual shafting and a gear which can be seen close to the Fives wall at the back of the Lethbridge Arms in Bishop's Lydeard. Locally it is suggested that it is a sluice mechanism associated with Higher or Upper Mill, which underwent drastic conversion in the early 1990s when the watercourse was culverted. A notice in the Exeter Flying Post for 15th September, 1853, kindly supplied by Martin Bodman, lists a “powerful Thrashing Machine in an adjoining building, where a great quantity of Wheat….is constantly being thrashed for different growers in the neighbourhood”. 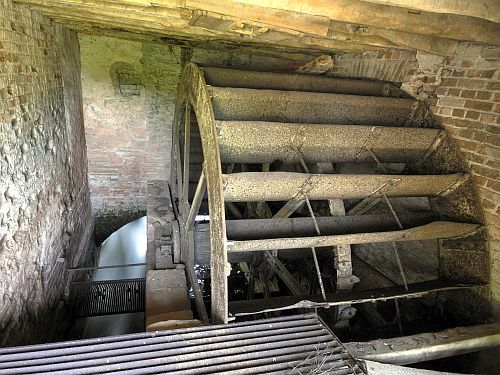 This machine was driven by the wheel.The gearing surviving in the wall may therefore relate to that with shafting from a pinion meshing with a ring gear on the waterwheel. Equally there could have been some other power source such as a horse or a stationary or portable engine. This year sees the completion of a multi-facetted project on the West Somerset Mineral Railway, known locally as the Old Mineral Line, which carried iron ore from the Brendon Hills to the port of Watchet. The work began in 2008 when a consortium of organisations and individuals undertook conservation and interpretation funded by the National Lottery. The impressive legacy that has resulted includes public access to mining remains and railway features such as the 1,100 yd. incline which climbs a vertical height of 803 ft. at a gradient of 1 in 4 and on which was laid a double track of standard gauge rails. In addition to trail leaflets and a website www.westsomersetmineralrailway.org.uk there are two associated publications and in Watchet the displays in the Market House Museum have been upgraded. The Bridgwater & District Civic Society has unveiled a plaque at the former Crowpill coal yard, adjacent to Bridgwater Docks, summarising the history of Sully & Co. who traded at this site from 1871. In 1995, when the yard was cleared for housing, there were still remains of railway track of mixed gauge together with wagon turntables. A planning application for a change of use resulted in the demolition of a site at Chaffcombe near Chard which had been established c.1896 as Earl Poulett’s Model Dairy Factory. Although subsequently developed as a cider works and even later as a council depot, a 15ft. x 2ft.6in. overshot waterwheel from William Sparrow’s foundry at Martock survived from the early period, together with a primitive governor to control the penstock which was added when DC electrical generation was introduced. SIAS was unsuccessful in obtaining listed status for the wheelhouse and contents but the planning authority, South Somerset District Council, recognised the wheel as being of ‘local historical interest’. Whilst its future remains uncertain, consideration is being given to the best option for the wheel’s preservation away from the site. Chard Central Station, located appropriately on Great Western Road, was opened in 1866 at the terminus of the Bristol & Exeter Railway’s Chard Branch from Taunton. The surviving distinctive station building, with a characteristic railway canopy, will probably suffer a loss of setting as a planning application has been submitted for a large-scale housing development on adjacent land, formerly part of the station site. However, a rumour circulating that it was to be removed and rebuilt at Norton Fitzwarren on the West Somerset Railway was unfounded. The short-term threat remains arson and vandalism, a fire having already occurred, but there is a projected use of the building as a discount store. The mill visitors’ centre in the grounds of Hestercombe House near Taunton has been officially opened though a delay in sourcing sufficient line shafting has meant that some exhibits are still static. Following details which were published last year in IA News, the newsletter of the Association for Industrial Archaeology, SIAS gratefully received assistance from Dr Ian West, an expert on country house technology, leading to the acquisition by the Hestercombe Gardens Trust of an acetylene lighting plant. This was one of only two known complete examples remaining in situ in the British Isles, the other being in Northern Ireland. One surprise revealed during the restoration of the waterwheel at Hestercombe by Martin Watts was the name of W C Rafarel of Barnstaple on small embossed plates on the wheel’s naves or centres. 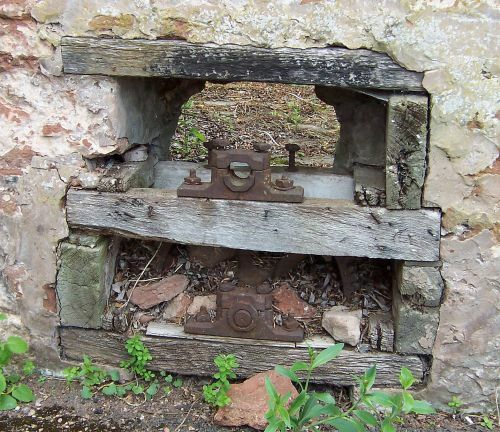 These appear to be contemporaneous with other parts cast by J E Vanstone of Black Torrington indicating the involvement of two Devon engineers in the construction of the wheel. 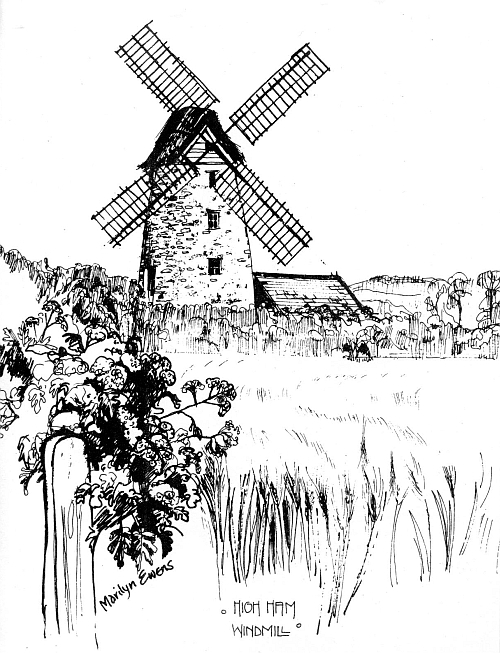 An estate farm nearby at Volis also had a waterwheel originating from Devon (Bulletin 106). As there were numerous Somerset founders and millwrights available in the 19th century, the tentative conclusion is that the Portman family or their estate stewards had a role or policy in relation to the procurement and servicing of waterwheels. 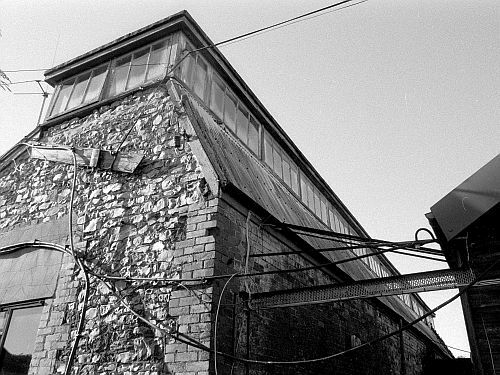 The Parrett Works, a former engineering and flax complex, has a number of buildings listed Grades II and II*. SIAS was instrumental in obtaining statutory protection for these in the 1970s and the site is now primarily a small industrial estate. Concern had been expressed over the condition of the historic rope walk which for some years had been used as a byre. It has now been bought by a consortium of neighbouring businesses. Unfortunately there has been no perceptible progress on the rebuilding of that part of the site devastated by fire in November 2007. Madey Mills is recognised as a Grade II* listed building for its fine surviving historic features, which include a locally cast waterwheel, but has a ‘C’ rating on the Buildings At Risk Register. This category is defined as being in slow decay with no solution agreed as to funding its conservation needs. However, in March English Heritage thoroughly surveyed the building and it is understood that discussions have begun as to its future upkeep. A hitherto unidentified milestone has been discovered on a route of the Martock Turnpike Trust set into the garden wall of Coat House, Coat. ‘CXXX Miles to LONDON’ (the distance to Hyde Park Corner) has been deciphered suggesting that it is along a pre-turnpike road of some importance. The considered opinion is that because the wall is curtilage to the listed house, the milestone will enjoy a measure of protection also. On a fossick around North Petherton near Bridgwater, SIAS members recorded what has been termed a telegraph cable marker, the fifth so far discovered in the County. This list has since been supplemented by the sighting of a further example at North Petherton and three more, by SIAS member David Greenfield, along Hamilton Road, Taunton. These pavement-level, cast-iron features typically bear a crown and the initials ‘ER’ (King Edward VII), cast letters ‘ft’ and ‘in’ and an arrow akin to an Ordnance Survey bench mark below though this latter feature is often hidden from view. The reason for the name is that they were thought to relate to an underground cable dated to 1901 marking the route of the London-Penzance telegraph. Those found so far are along the A38. But their true function has now been called into question by further research, as yet incomplete, which has initially concluded that they mark buried telephone cable joints. 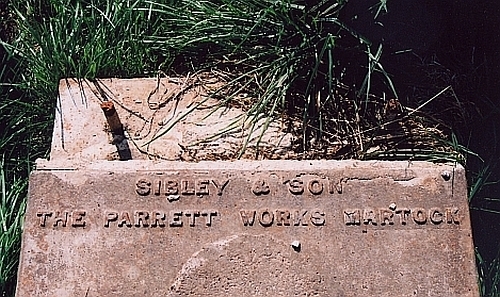 Cast-iron markers appear to have been used from the turn of the 20th century until 1936 when they were made of concrete. The word ‘telegraph’ is not altogether a misnomer – the development of telephony, though technically different, arose from the established telegraph system and legislation authorised under the Telegraph Acts. To date no other royal ciphers (VR and GR) have been found in Somerset and it is likely that more markers can be found elsewhere and not just confined to the A38. At Nynehead, two landowners, one of whom is SIAS member Denis Dodd, are in their third year of a ten-year stewardship scheme for landscape management of an area which covers historic parkland and part of the Somerset section of the Grand Western Canal. The scheme has brought together English Heritage, Natural England, the Environment Agency and local authorities at district and county level. 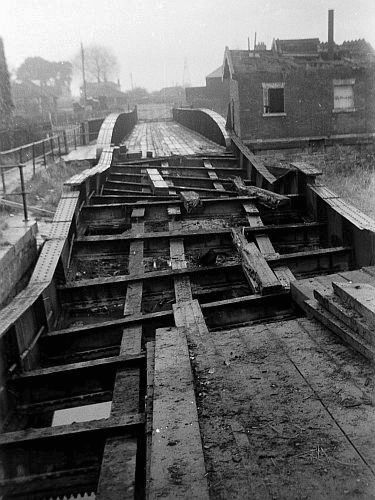 Currently the results of a feasibility study of the structures are being studied encompassing a carriage drive, a three-arched river bridge, two canal aqueducts and the remains of an innovative canal lift, designed by the engineer James Green, which once raised and lowered canal tub boats by 24 feet. Whilst some groundwork activities have been undertaken by the Waterways Recovery Group of the Inland Waterways Association, volunteers from the Grand Western Canal Trust and SIAS have also been at work in and around the lift. Finds have included segments of a 3ft. 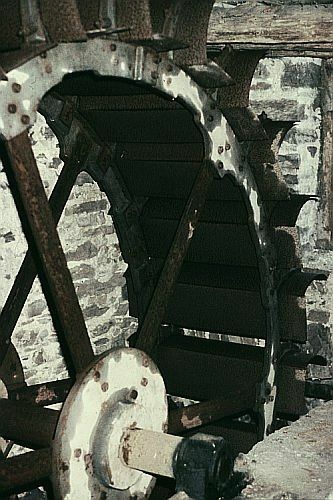 diameter gear wheel thought to have been associated with one of the lift’s guillotine gates. 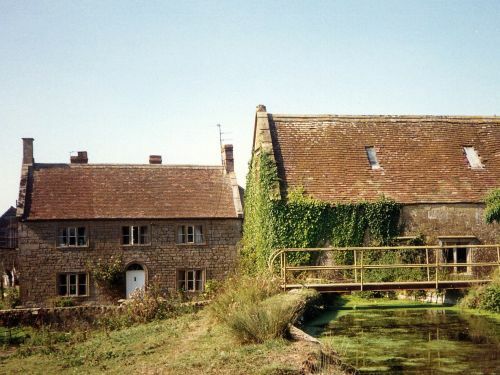 Although in Devon, a mill here has a waterwheel once working at Oake Mill, near Taunton. The wheel is likely to have been cast by one of the Wellington foundries. The discovery was made by Martin Bodman, SIAS member and West Country mills researcher. Somerset Heritage, the Somerset County Council’s historic environment team, is recording pavement-level inspection covers in Taunton, typically with a diamond pattern and bearing the name of a local ironfounder. These are thought to have been installed c.1900 as part of an early system of electrical distribution for domestic and retail purposes. 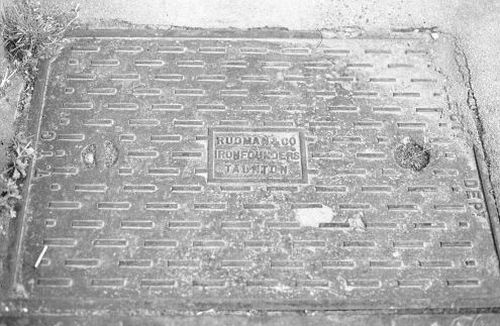 Several have been noted in the South Road area of the town and the SIAS Archive has a photograph, taken in 1974, of a rectangular cover at Alma Street bearing the inscription ‘RUDMAN & CO, IRONFOUNDERS, TAUNTON’ in the centre and ‘T.T.C.’ (Taunton Town Council) on one side and ‘ELECTRICITY DEPT’ on another. Rudman’s premises were appropriately at Foundry Road, off St. James Street around the turn of the 20th century. Oral tradition asserts that there was a workforce of over fifty, the main products being pumps for gas companies and bearings for a firm in Dursley, Gloucestershire with bandsaws as a sideline. 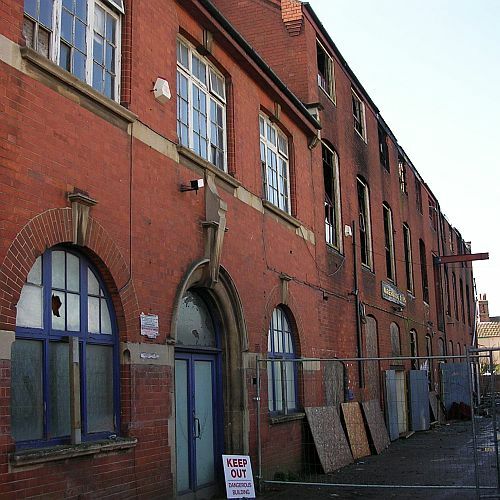 Although a permanent solution has yet to be found to the unoccupied and deteriorating former woollen mill buildings at Tone and Tonedale, the existing textile business of Fox Brothers has been acquired by Deborah Meaden, widely known as an investor on the television programme Dragon’s Den. She has also leased the former office block at Tonedale Mills as a showroom for both contemporary and historic woollen fabrics as well as housing a collection of archives and artefacts associated with the old company. 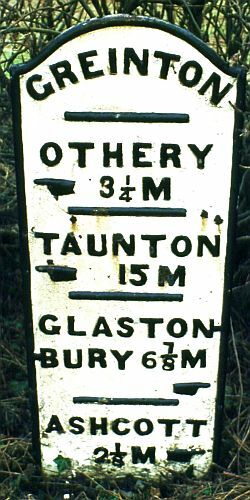 Users of the Taunton road may have noticed a milestone with a ‘TAUNTON 6 MILES’ cast-iron plate attached. This was not recorded by SIAS during the Somerset Roads Project of the 1980s as it was buried at that time. But as the result of the nearby housing development the stone and plate were unearthed and both have since been conserved and reinstated close to the original location on the Taunton Turnpike. In Rockwell Green on the outskirts of the town, Wessex Water has refurbished the conical cap and weathervane on the brick water tower which revealed the letters ‘E P’ on the flight end of the arrow. These are the initials of Edward Pritchard (1839-1900) of Birmingham and London who designed the tower in 1885. The neighbouring circular four storey tower, by Rolfe & Raffety and dating to 1934, has been extensively conserved due to the spalling (cracking) of the concrete. Treatment included the application of 1,000 litres of hard wearing paint to its external surfaces with a weatherproof coating on the top floor. Both towers are listed Grade II as is the nearby associated pumping station at Westford which contains original structural features and machinery such as the 1886 ram pumps by Glenfield & Kennedy of Kilmarnock. The future of this redundant, late Victorian pumphouse remains uncertain and a recent attempt at maintenance to the roof has been frustrated by the presence of bats. The restorers of the 19th century Dawes Twine Works at West Coker near Yeovil literally raised the roof in April. The Coker Rope and Sail Trust engaged the skills of the Carpenters Fellowship who employed tension straps and wire cables to move the building section by section up to 30cm back to its original position. Remarkably the heavy clay roofing tiles, of the Double Roman pattern from Highbridge and the ridges from Bridgwater, remained in place during this operation, only one being broken. This work was a necessary prerequisite to ensure that the structure is safe and stable for future conservation activities to take place. There is a projected completion date for the project of 2012. 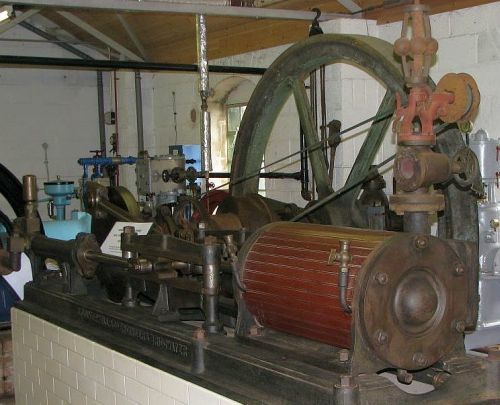 At the pumping station Westonzoyland Engine Trust has successfully restored to steam a single cylinder horizontal engine by James Culverwell of the Bridgwater Iron Foundry which led the SIAS Archivist to research the history of the iron foundry (Bulletin 113). The Trust is also seeking to enhance visitor facilities through an extension to the exhibition hall and have carried out internal work on the pumphouse cottage which will reflect its former social role. Derrick Warren has discovered the bread oven doors, dating from the 1840s, originally at the bakery, Buckland St. Mary. These were cast by James Smith of the Phoenix Iron Works, Chard and subsequently conserved by Cerdic (a modern foundry in Chard). They are now mounted on the wall of a bungalow in Whitestaunton. No.3 - This article is based on the second of the themes presented at a members evening to celebrate the 40th anniversary of SIAS. 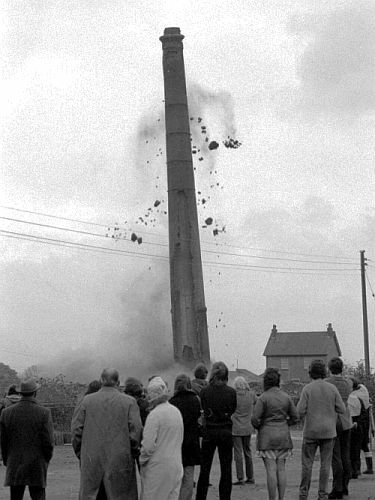 The word ‘demolition’ is generally perceived to be a violent act of physical destruction, typically a wrecking ball swinging against the wall of a building and a bulldozer pushing away the resultant debris. ‘Loss’, on the other hand, is a slightly more nuanced term to describe erosion or eradication, the consequences of which can be equally devastating. It can be emotive reflecting the feelings of a person when a building is ‘removed’ from its setting in the landscape. The structure may have had architectural features and/or characteristics associated with its former use and had become an accepted part of the local environment. The scrapping of machinery, the redundancy of a skilled workforce and the social impact on a community are all aspects which can accompany demolition and generate a sense of loss. On occasions criminal acts such as arson, theft and vandalism contribute to both demolition and loss where a site or building has been left in a state of dereliction for a long period without decisions being taken about future use. The founding members of SIAS in 1972 came together to promote the study of the industrial heritage of the county especially in the light of developments which had gained momentum through the 1960s. 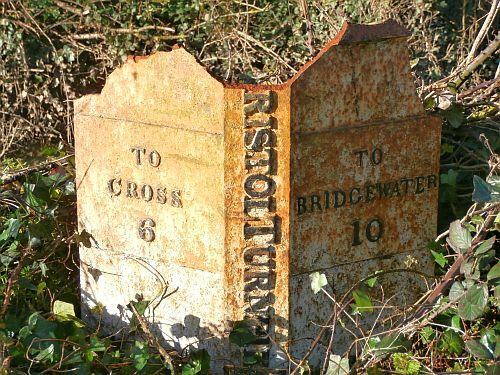 The chief casualties were transport systems and industries dating back to the 18th and 19th centuries which had begun to decline or suffer irrevocable changes often resulting in ‘extinction’ within Somerset. 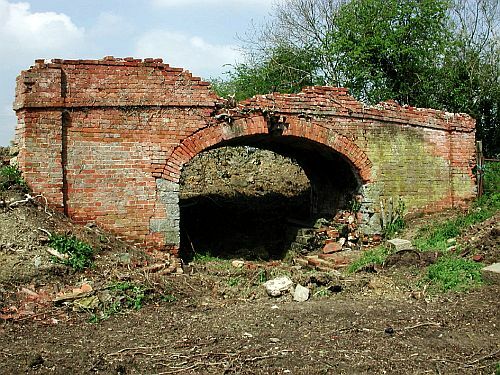 There were individuals who had flagged up this process of disintegration previously but a group was needed to alert anyone who would listen to the significance of industrial remains and engage in activities which could at best lead to their preservation, conservation and adaptation but at the very least carry out archaeological recording through measured and photographic surveys with, in some cases, excavation of sub-surface evidence. The Bristol IA Society had already been established and took responsibility for those parts of northern Somerset which eventually became the two unitary authorities but that still left SIAS with the present administrative county of five districts and part of Exmoor National Park. · Destroying Mythologies – at first SIAS needed to correct the mind set prevalent in the 1970s in certain quarters that Somerset was simply a green and pleasant land somehow divorced from the perceived ‘Dark Satanic Mills’ images of the Industrial Revolution. What had been overlooked publicly was the fact that agriculture was, in effect, the largest industry feeding off the advances in industrial technology. The connections were there and only awareness was needed: the crop of flax to the factory, limestone from the quarry to the kiln then into the soil, barley from the field to the malthouse and so on. The ironfounder supplied the farmer with his machinery and his power in the form of waterwheels and stationary steam engines. If an industrial structure, whether in an urban or rural location, was under threat SIAS argued that it couldn’t be just written off as unrelated to the county’s heritage and its past role in the local or wider economy left unappreciated. 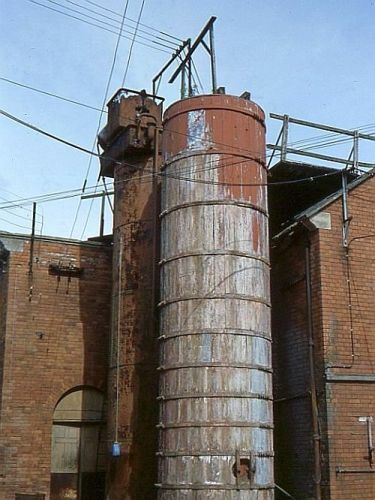 · Research – industrial history forms a key part in understanding why a site or structure exists but unfortunately there is a wide range of subjects to be covered. On the positive side there were (and still are) equally diverse interests amongst the SIAS membership who are knowledgeable in key areas such as brewing, bridges, metalworking, grain milling, mining, textiles and transport infrastructure, to name but a few. 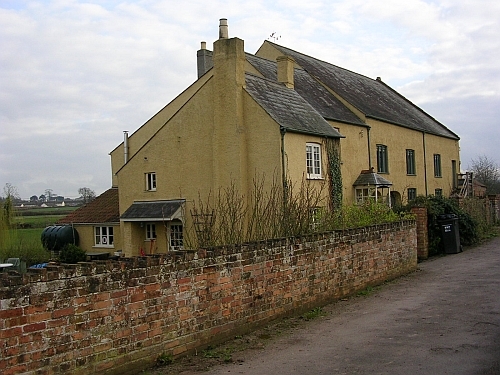 · Informing – the recording and publishing following recognition have been dealt with elsewhere but in the context of possible demolition as an outcome, SIAS has made historic information available in a variety of ways: by responses to planning applications, through its ‘hard copy’ publications, on its website, by creating its own archive and importantly submitting entries for the Somerset Historic Environment Record. · Protection – the listing of a building (or scheduling where appropriate), with notable exceptions, has not been accorded to Somerset’s industrial sites, the vast majority of which have no statutory protection. 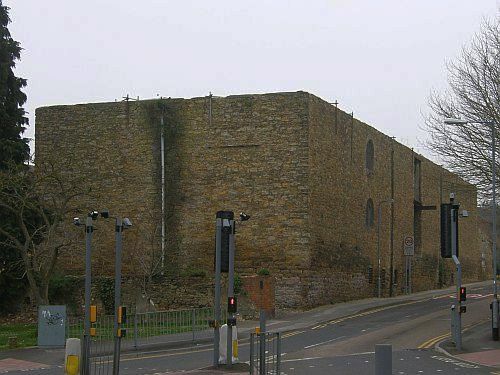 The stumbling block has been the inability to raise the status of a building beyond the local level and attribute a description which makes it special in the eyes of the inspectorate from English Heritage. There is guidance under the National Planning Policy Framework (NPPF) and when a developer compiles a Design and Access Statement for a planning application a heritage statement has to be included. The D&AS also has to clarify proposals for demolition, something not always apparent in the applications of yesteryear. 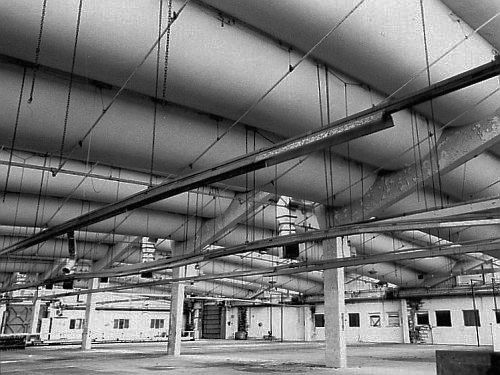 The NPPF offers a glimmer of hope to unlisted industrial buildings in the form of guidelines on ‘non-designated historic assets’ but these are open to interpretation by the planning authorities and developers. There is currently a consideration of introducing Local Listing whereby a building or site would have an elevated status within a local community. An industrial building within a conservation area may be safeguarded to an extent but this is a ‘grey area’ and uncertainties exist. · Planning Authorities – within Somerset the County Council, District Councils and the National Park regularly adjudicate on planning applications and SIAS has built relationships with conservation officers, case officers and heritage staff over the years. The society has the role of a Non-Statutory Consultee so receives some applications direct for comment. But to avoid others ‘dropping through the net’ there is a small SIAS team who sift weekly lists (planning alerts), a task made easier by Internet Technology. In addition to national policies there are local planning policies to which SIAS has contributed comments under the generic title of Local Plans. But nothing is set in stone and further documentation exists under snappy titles such as Site Allocations and Development Management Plan (Preferred Options)! · Economic Factors – besides the legislative hurdles which have to be overcome, the threat to buildings and sites remains constant in good as well as bad economic times. When there is an upturn an increase in the number of planning applications for development follows. In more austere times, neglect and lack of financial resources to develop can lead to dereliction and ultimately demolition of structures that might otherwise have been saved. Allied to this is the availability of skilled professionals such as conservation officers who can monitor and comment as part of the decision-making process. There is always a danger in hard times that these posts can be reduced or transferred away from local authorities where their presence in the past has been an integral part of the system of governance at local level. · Owners and Developers – this is the most sensitive and occasionally an intractable area for relationships, presenting a challenge to SIAS when a site or building becomes empty and ripe for redevelopment. There have been instances of deliberate demolition or serious neglect of a structure thought to have merits worthy of some degree of preservation. If it is unlisted then those actions are (frustratingly) legal but even listed buildings can suffer in this way. SIAS is a respected body and goodwill towards the society has usually permitted inspections by members for recording purposes to take place. In some cases where a highly significant site has been recognised at an early stage, SIAS has successfully requested the involvement of English Heritage and Somerset Heritage. The latter body is an arm of the County Council shortly to be part of the South West Heritage Trust. This can lead to conditions being imposed in the planning application such as recording being carried out by an archaeological unit or an architectural investigator from English Heritage. Statutory protection could also be applied at short notice i.e. the listing of a building, which would restrict the planned redevelopment. there were other elements that had quickly deteriorated into a dangerous state of abandonment. 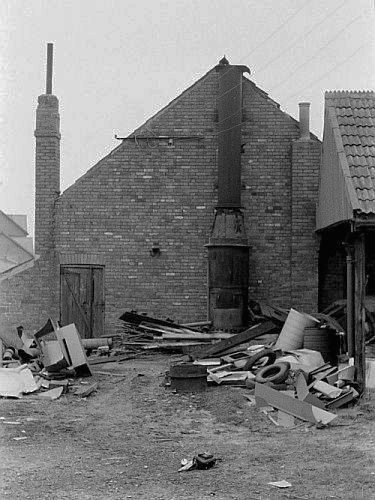 With no prospect of a business revival and the unwanted attentions of vandals, this was one site where the health and safety criteria could be applied for demolition but not before SIAS had undertaken recording in 1978.
surveyed by SIAS in 1974. 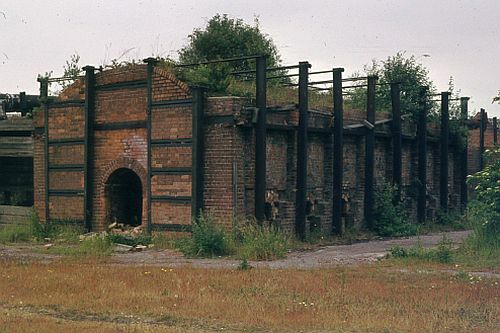 At Poole near Wellington, one of the founding projects of SIAS was the recording of the last of three Victorian continuous-firing Hoffmann kilns. 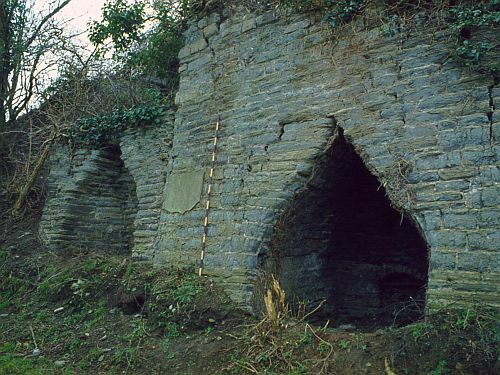 In an ideal world the kiln could have become the focal point for an ambitious conservation project as has happened in recent years with the Hoffmann (lime) kiln at Llanymynech, North Wales. 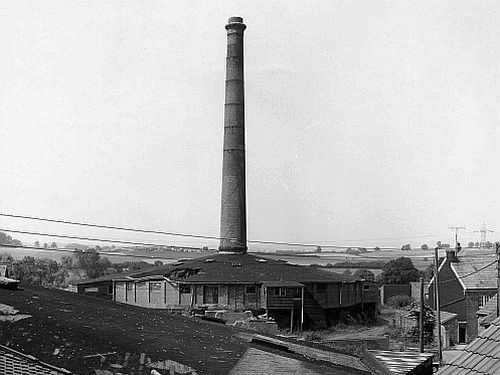 But the sole-surviving Somerset brickworks had upgraded its firing process and the surrounding vacant land was easily adaptable to a 20th century industrial estate. 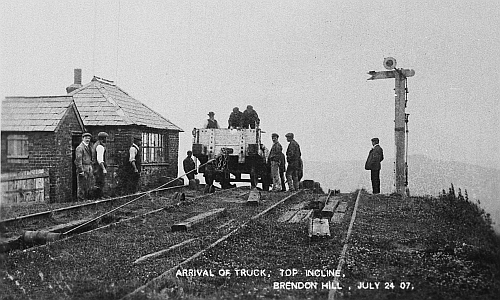 The Brendon Hills Iron Mines and West Somerset Mineral Railway Project has been rightly acclaimed as an important success on many levels but perhaps inevitably there were past casualties before it began. One of these was the distinctive Cornish style engine house at Kennisham Hill. Surrounded and encroached by trees, it was demolished by the Forestry Commission in 1978. Another at Langham Hill, later investigated by SIAS and the Exmoor Mines Research Group, had been dismantled much earlier (in 1879) to provide materials and machinery for the Burrow Farm Mine house whose remains have been conserved. can be compared to the recorded image of 1982.
clearly illustrates that the easternmost section, which moved sideways to allow the next section to retract, was already being removed and the destruction of the adjacent engine house imminent. The remainder of the bridge was designated a scheduled ancient monument providing SIAS with the opportunity of researching the structure and closely monitoring its subsequent uses. This included an excavation in 1982 to examine the (empty) pit which once held the traversing section. 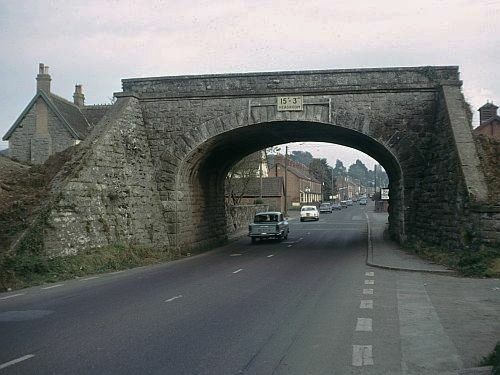 which carried the Taunton-Chard line over the A303 (now re-designated as B3168). It was taken down for road widening in the early 1970s. At Firepool, Taunton, the construction of the Northern Inner Distributor Road has resulted in the removal in 2014 of the impressive Goods Shed dating to the early 1930s. By 1900 canals and river navigations had largely been abandoned but much physical evidence in the form of structures and engineering works still survived into the latter half of the 20th century. 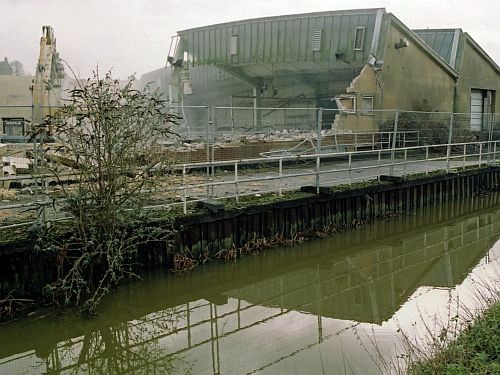 The demolition of the central buildings at the former Chard Canal Basin and wharves, Chard probably represents the biggest loss. These had become completely obscured within a large modern feed mill complex developed in the late 1960s. With the exception of the perimeter wall, all these canal associated buildings, dating to the early 1840s, were swept away in 1999 to be replaced by a large retail outlet with a vast car parking area. At Green Lane, north-west of Ilminster, an attractive brick bridge spanned the route of the Chard Canal and towpath. Proposals for ‘modification’ led to the destruction of the structure’s historical integrity. 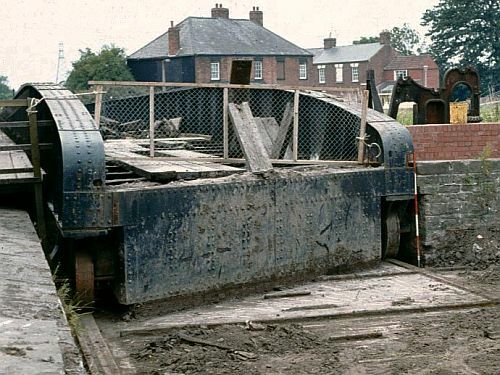 Canal bridges generally have fared badly and other notable removals include a Grand Western Canal bridge (c.1836) at Silk Mills, Staplegrove in 1977 for road improvements. This road has also been superseded by a major road alignment and a new bridge. 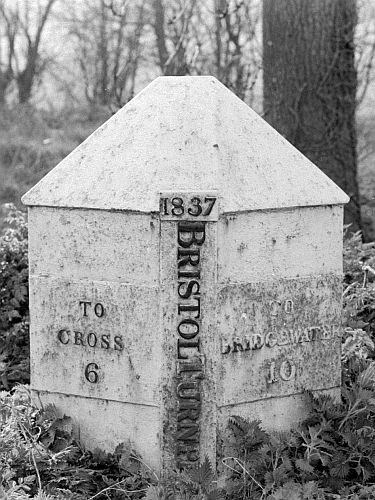 The original bridge (c.1839) crossing the Bridgwater & Taunton Canal at Old Taunton Road, Bridgwater had a cast-iron rib girder with a foundry mark of the little-known Taunton firm of Richards and Blake. This was destroyed when the bridge was rebuilt in 1987.
which was entrusted into the custody of (the then) British Waterways Board. Its subsequent whereabouts became unknown but recent enquiries by SIAS members have tracked down the two halves of the turntable to Bridgwater Docks where they are embedded in the paving though without any form of interpretation. The traditional processes of the tanning industry involved lime, dung and tannic acid with chrome being introduced as a substitute for oak bark in the late 19th century. Total site clearance of pits and buildings was therefore desirable once production had ceased. At Tancred Street, Taunton, tanning was established in the 18th century and was continued under many owners. 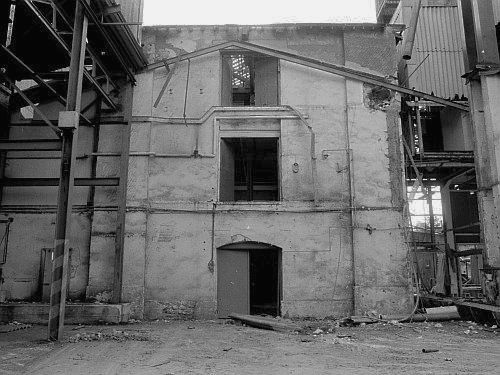 The firm trading as E & W C French did not enter into receivership until September 1985 but demolition was underway when SIAS gained access three months later. 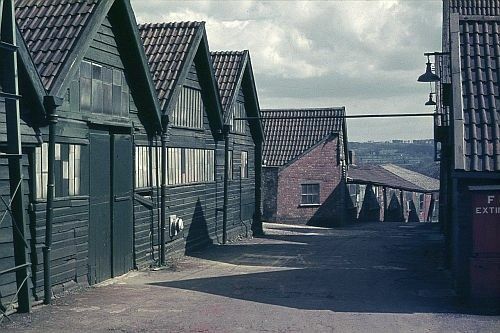 The characteristic wooden louvered buildings were flattened to make way for a housing development of mainly sheltered accommodation. Only the listed office and a few buildings along the street frontage remain. One significant find at the site was a four-column beam engine by Bury, Curtis & Kennedy of Liverpool date to c.1840. 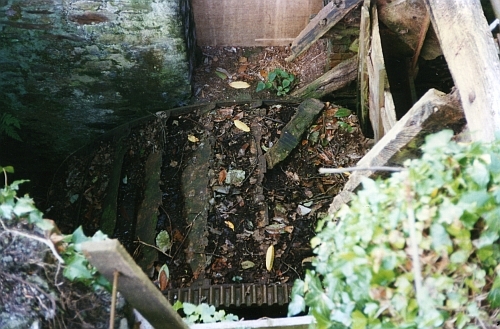 SIAS had made a survey of the engine’s foundation pits in 1974 before it was acquired by a Cornish theme park. It is understood to have returned to Somerset to a private collector but has not been re-erected and is not publicly accessible. 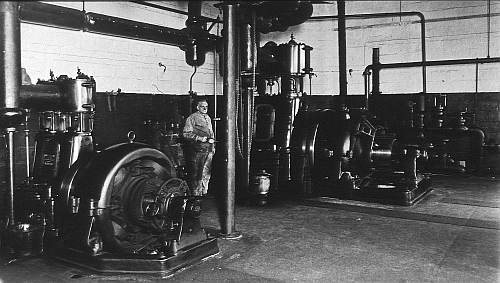 The two large stationary steam engines in the neighbouring silk factory of James Pearsall were also moved away though both are thought to have been bought second-hand by the mill owners. A six-column beam type by Jonathan Dickson of London dated 1811 is at the Henry Ford Museum & Greenfield Village in Dearborn, U.S.A. The other, a Woolf compound beam by Easton & Amos of London dated 1850, is displayed at the Museum of Somerset in Taunton Castle. 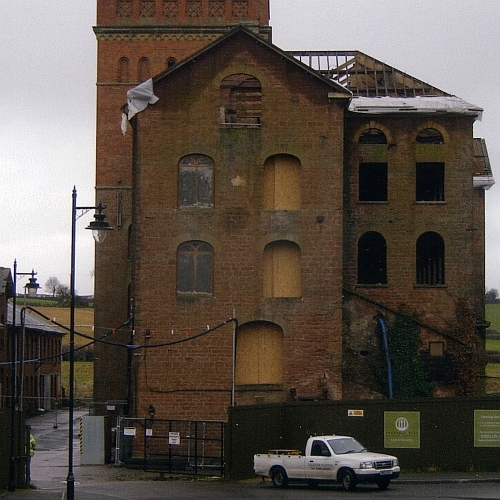 Delay and dereliction have both played a part in the sorry scenario concerning Eastland Road Tannery in Yeovil. In 1978 SIAS surveyed the premises which were of 19th century origins but still in use. Its importance was recognised with listing status but subsequent planning applications involved demolition, drastic alteration and new build for housing. Contamination posed a financial as well as a practical problem but objections to the schemes were voiced by SIAS, English Heritage and the South Somerset District Council. 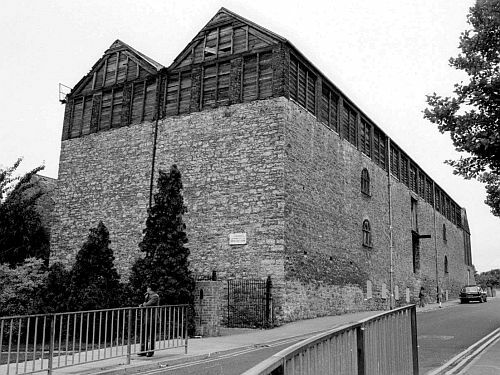 Failure to reach a solution was dealt a further blow when the wooden upper storey of the tannery became unstable and was taken down. The walls required emergency bracing and the overall appearance is shown in the 2009 image. The eventual outcome for this site, unoccupied for nearly thirty years, cannot be promising. 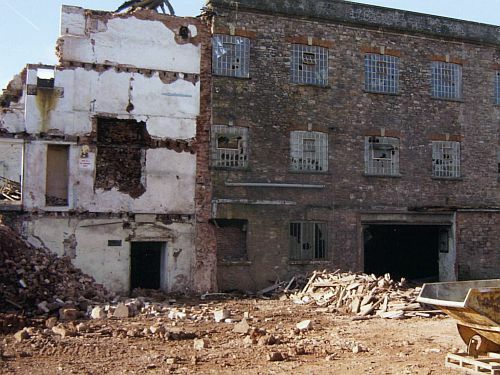 At a late stage in the partial site clearance at the former Morland’s tannery at Glastonbury in 2004, SIAS was notified of an unlisted ferro-concrete structure known as the Hepworth Building. Its designer was A.J. Hepworth (1911-2003), a cousin of the sculptress Barbara. Erected in 1961, its distinctive feature was a shell roof formed from 48 prefabricated concrete beams, each 60ft. in length and was particularly impressive when viewed internally. The building had served as a skin finishing plant and later as a footwear factory. 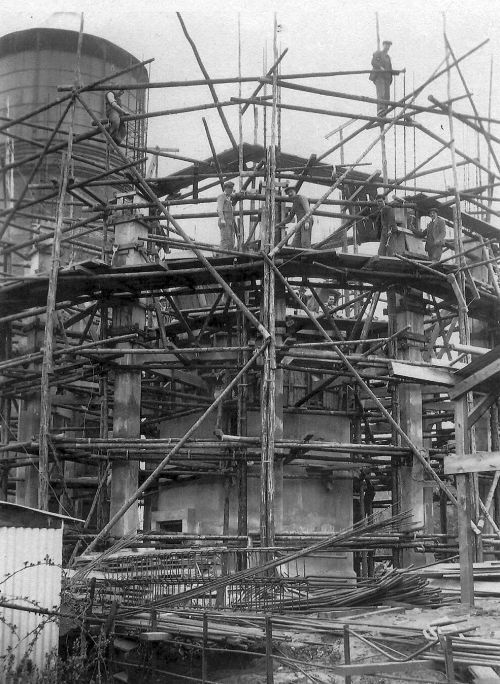 SIAS felt that its innovative features illustrated a refreshing 20th century approach to the design of industrial structures but ultimately the society could not save the Hepworth Building from the bulldozer. shows the furnace (cupola), a design which had not fundamentally altered since the 18th century. The pattern shop was also intact and SIAS retrieved a considerable number of wooden patterns of all types and sizes. 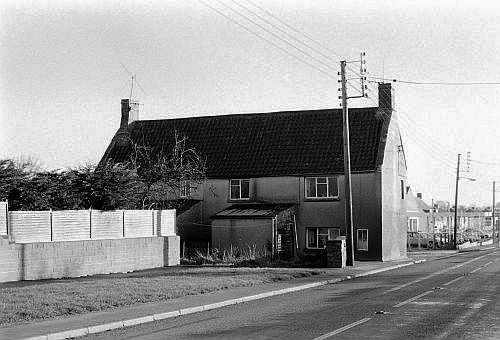 Tragically these were destroyed in an arson attack on the Old Town Mill, Bridgwater in 1995 where the society had its store. Fortunately a selected group of engine parts and gearing patterns had been donated to the Westonzoyland Engine Trust. The view of the Crimchard Works of Dening of Chard, agricultural engineers, typifies the layout of a larger foundry. 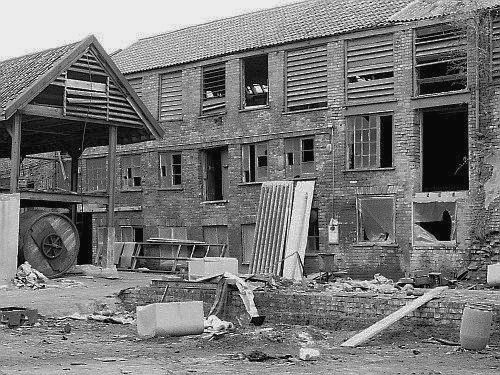 Visible are the former paint and carpenters shops, the brass foundry and the smiths’ shops in 1980 – demolition took place six years later. Waterpower remains a constant theme in SIAS projects focussing on mills of various categories. Most corn mills had ceased production by the late 1930s but a surprising number were complete forty years later despite woodworm and rust taking their toll. 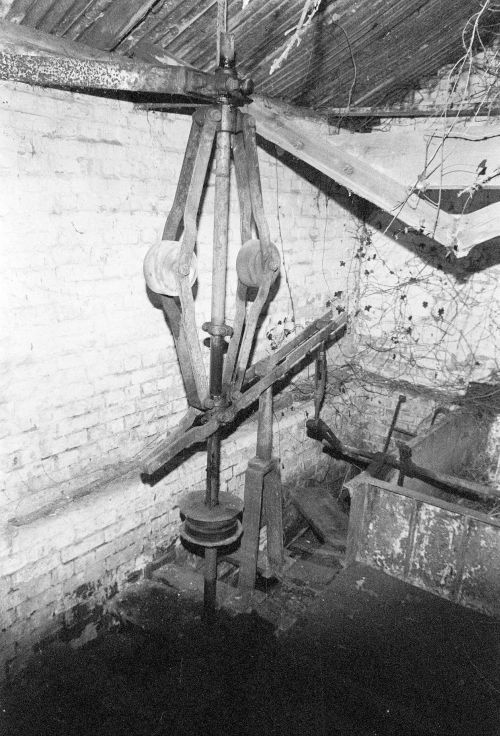 Some owners viewed waterwheels as tradable commodities reflected in an early experience for SIAS members at Dulverton Town Mill in 1972.
was replaced by one designed for the purposes of electrical generation. 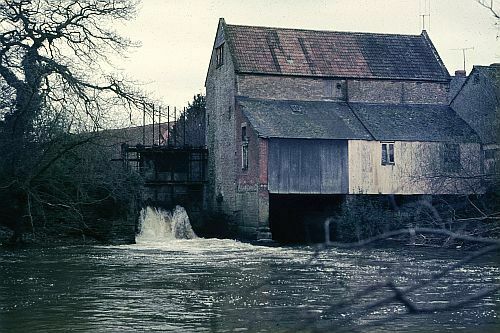 At Chaffcombe near Chard, English Heritage declined to list a former estate butter factory which included an overshot waterwheel of 1890 by William Sparrow of Martock. In an initiative by two local residents and volunteers, the wheel was ‘rescued’, restored and re-erected off site, the project being completed in 2011.
one of the larger mills on the river Yeo, the corrugated-iron coverings in this photograph clearly had to make way for a more aesthetic and sustainable 21st century solution! to a silk mill established in the 1820s but everything was removed following closure in 1997. In Bridgwater the industry’s factories were mainly purpose built such as that at Monmouth Street. illustrates one type of architectural feature that has been lost in an industry where good lighting to rooms with hand-operated sewing machines was essential. By far the most intractable problem is the industrial complex where numerous buildings and structures, once component parts of a works, survive on a site covering many hectares. 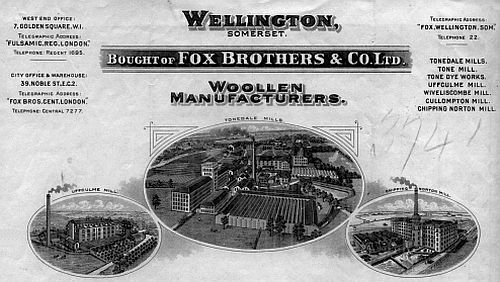 There were two major woollen and worsted manufacturers based at Wellington whose sites have occupied the time and attention of SIAS members over countless years. but an unusually shaped office by the former entrance only survived as it provided a bat roost. 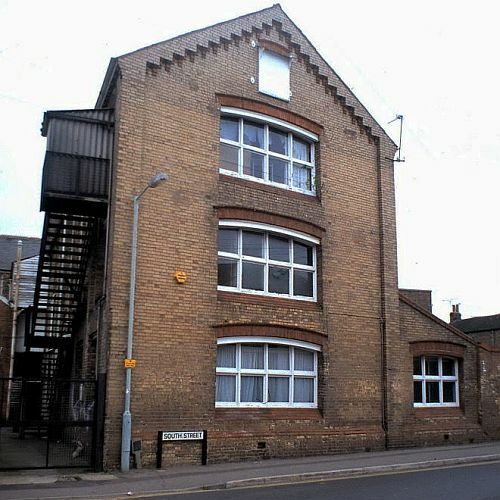 SIAS devoted its resources to recording and publishing the smaller Elworthy satellite factory of Prowse’s Mill which was successfully converted into two spacious apartments. The future of the last mill block still standing known as Hayman’s Mill remains uncertain. in contrast to other areas which have been adapted for workshops and retail. There are many ancillary features which assist in interpreting the previous function of a works and require recording before being swept away such as the water softener towers at Tonedale. Often only the more robust structures usually remain. Another unappreciated fact is that an industrial complex can resemble a small, sustainable village. Tonedale had its own Machine Shop photographed here in 1984. It was an early victim of the re-development; its contents were dismantled and were last seen being packed into a freight container, allegedly en route to a Canadian museum. Machinery fares badly in every closure and if not sold at an auction is generally scrapped for its metal value but at Tone Works was the raison d’être for its survival. The site was recognised as being of national importance as a near complete example of a 19th century cloth dyeing and finishing works and given Grade II* status. In 2007 English Heritage published a two-volume report: a survey and analysis of the buildings, power systems and veteran machinery capable of working and performing a function found nowhere else in Great Britain. But the enthusiasm for the production of a traditional woollen cloth finish, unrivalled by modern processes, has to be tempered with a realistic financial assessment and the implementation of a business plan. For approximately fifteen years the site has remained on the English Heritage Buildings at Risk Register and confidential negotiations, which have sought funding for restoration through ‘enabled’ planning permission for housing on adjacent land, still plod on. Unfortunately SIAS can only watch from the sidelines, commenting on planning applications as and when they arise and keeping the long-term aims and aspirations prominently on the agenda of the decision makers. contribute to the information gathering processes. But over the years the closure of businesses has resulted in papers being burnt or tossed into a skip with only a few ‘stray’ examples appearing in the catalogue of Somerset Archives and Local Studies at the Somerset Heritage Centre. Where material does exist, in private or company hands, much reliance has to be placed on the way the records are kept in order to control factors such as temperature and humidity. SIAS has recently been made aware of the of the outstanding example set by the Alfred Gillett Charitable Trust in preserving the family and company records of C. & J. Clark, the boot and shoe manufacturers. The generosity of access by The Phoenix Engineering Company to its archives has led to the SIAS Survey of that company’s history. The society still awaits the deposition of the extensive Board Room and Departmental Archives of Fox Brothers into the public domain. It would not be difficult to paint a ‘doom and gloom’ scenario and catalogue a long list of buildings which have been demolished during the four decades of the society’s existence. These few examples, mainly from locations in the south and west of the county, have been selected to illustrate the principal reasons for their demise and loss, criteria which will be applicable to many others. but was redundant in 1962. It was dismantled to a height of three metres in 2011. 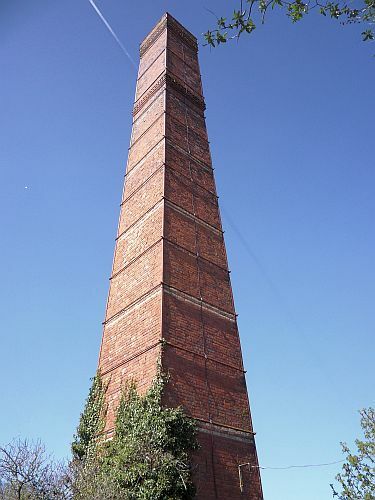 The remaining Hoffmann kiln chimney at Wellington Brickworks received even less sympathetic treatment and was blown up in 1973. Certain factors will always militate against successful outcomes in planning applications, one of these being the social pressure for new-build housing, particularly where the industrial remains are totally or even marginally unsuitable for conversion. Planning controls favour the re-location of industrial enterprises to a designated ‘park’ and it is now increasingly difficult to find workplaces of any size or age close to the centre of Somerset towns and villages. As SIAS learns about more 20th century industrial buildings under threat, one conundrum is how to deal with structures, often of utilitarian design, before they too disappear. The answer may, in part, lie in the vast digital archives of the local authorities where each planning application is accompanied by computer generated drawings and other informative data. This doesn’t address the ‘live’ activities of recording, through photography and sound, the life and closure of a factory or workplace and the people who had employment there. There will always be more than enough for the future industrial archaeologist and historian with which to engage and even in situations where the physical evidence is destroyed, there can still be an enduring legacy through the visual and written record. Further details for most of the sites can be referenced in SIAS literature and entries in the Historic Environment Records of Somerset (Somerset HER) and the Exmoor National Park (ENPHER). With thanks to Sandy Buchanan, Peter Burnett, Chris Cooper, Denis Dodd, Geoff Fitton, David Greenfield, Douglas Marshall, Stephen Miles, John Page, Geoff Roughton, Richard Steel, Derrick Warren and Robert Winn. The remainder are by the author or sourced from the SIAS Archive.